Selected as a topical item about much is unknown. A pair Tyrolia skis of laminate construction. 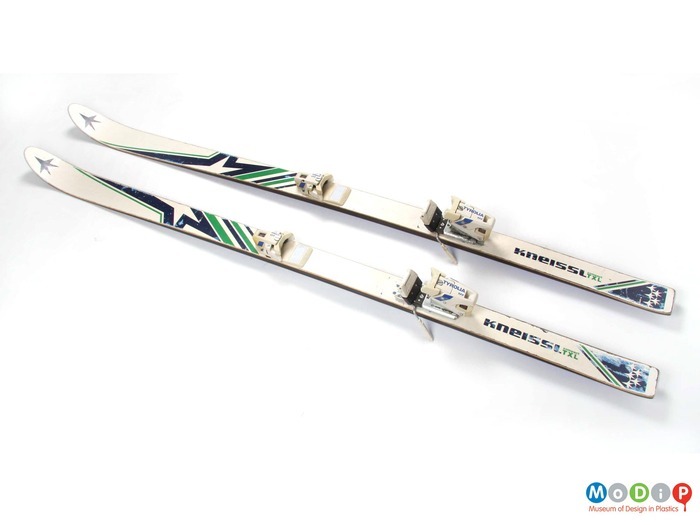 The manufacturer, Kneissl, is credited with producing the first plastic skis featuring a wooden core in the 1960s. Pair of skis AIBDC : 000867 We are looking for the designer of these skis. Can you help? Follow the investigation here: http://10most.org.uk/artefact/pair-skis. Submitted by Susan Lambert on Wed, 05/03/2014 - 16:18. We are looking for the designer of these skis. Can you help?